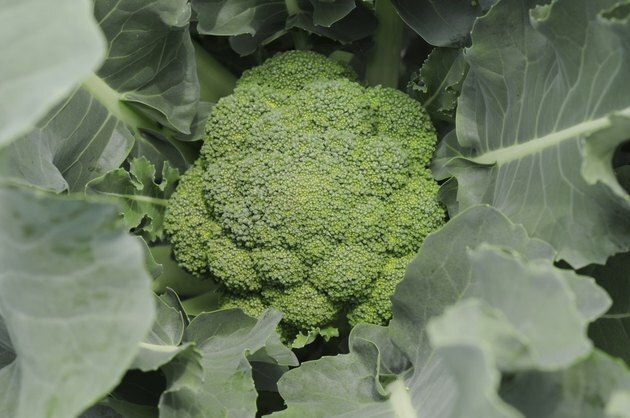 Kids may not like broccoli, but its lush green florets are extremely beneficial to anyone’s diet as a source of vitamins C and A, potassium, fiber, calcium, folate, phosphorus and iron. It’s also a versatile vegetable that can be steamed, sautéed, stir-fried or eaten raw. Include it in a casserole or top it with butter, Parmesan cheese, cheddar cheese, olive oil or even soy sauce. For a flavorful and tender treat, slow cook broccoli with butter in your slow cooker. Cut the main stalk off of 1 to 2 lbs. of fresh broccoli with a sharp kitchen knife, and then rinse the broccoli under cool running water. Place the broccoli into your slow cooker. Pour ½ cup of water or chicken broth into the slow cooker with the broccoli. Place 2 tbsp. of butter into the cooker. Sprinkle ½ tsp. of salt and ¼ tsp. of black pepper on top of the broccoli. Place the lid on your slow cooker and turn the cooking heat to low. Cook for two to three hours, or until the broccoli is tender. The broccoli may be served immediately or allowed to stay warm in the cooker for another hour.